London has less rooftop solar – as a share of households – than any other UK region or major city, according to a new analysis. The study by consultancy Energy for London found that just 0.5% of London’s 3.4 million households have installed solar panels, less than any other city or region it analysed. The study also includes data suggesting that the UK capital could actually generate up to 20% of its current power needs from solar panels on homes and offices. The analysis comes as candidates for the London Mayoral election voice support for increasing solar take-up in the city. London already has a target of generating 25% of its power from decentralised energy by 2025. Why is London behind the curve? In 2014, solar PV generated just 0.13% of London’s electricity. The average rooftop solar installation rate for the UK’s other core cities is three times higher than London’s. With the capital facing a doubling of its electricity use by 2050, the sluggish take-up of solar energy and other decentralised projects could leave the capital more exposed to future power crunches. So why is London dragging its feet? Previous studies have suggested that London simply isn’t rooftop-solar-friendly. It’s certainly true that London has a much higher proportion of rented accommodation than other cities, and more people live in flats. But even if we look only at houses with roofs, the solar take-up is still notably lacklustre. There’s also the perceived ‘hassle factor’ of installing PV in a busy city with tall buildings, heavy traffic and complex planning processes. But the London Assembly Environment Committee did an analysis of rooftop solar in 2015, and found that these challenges simply did “not fully explain why London has the lowest uptake of any region in mainland Britain”. So what’s really going on? For one thing, the Energy for London report notes that national government support for solar projects – in the form of the Feed in Tariff (FIT) and Renewables Obligation (RO) – favour larger-scale centralised solar ‘farms’ more than smaller decentralised projects that suit urban settings. Cuts to those schemes have also had a big impact. Cuts to the solar Feed-In-Tariff have resulted in the scrapping of £1.6m worth of London solar PV projects for homes, with a further £5.1 million at risk of cancellation. Funding for rooftop solar on commercial buildings has also been affected. That London Assembly report concluded that London needed strong mayoral leadership on solar, plus reliable financial support. This is also the finding of today’s Energy for London report. The capacity for rooftop solar in the capital is significantly higher than previously thought, according to Greater London Authority (GLA) figures. Extensive rooftop space, higher-than-average household income and strong support for clean decentralised energy all mean London could be producing up to 9GW of its own electricity. That’s almost 20% of London’s current electricity usage. In practice it is likely to be less than that, but even the lowest estimate in that study shows London’s solar potential to be more than 25 times its current capacity. If London does choose to push solar at the municipal level to compensate for national policy shortcomings, it wouldn’t be the first UK to city to take energy, particularly solar, into its own hands. Bristol Energy is a municipal energy firm owned wholly by the council that focuses on sourcing low-carbon energy from local providers, reinvesting profits into the community. Nottingham’s city-owned Robin Hood Energy was the first municipal energy firm since the industry was nationalised in 1948, and gets power from solar and other local sources as well as buying in some gas and electricity from the market. How could London boost solar? The report recommends the next London Mayor commits to increasing solar PV capacity to at least 750MW by 2025, at least a ten-fold increase on today’s capacity. Possible steps include establishing a London Solar Task Force to bring together communities, investors, and industry groups; installing solar panels in unused spaces owned by Transport for London and City Hall; and loaning out roof space to community energy projects. In terms of funding, the new mayor should set up a London Feed in Tariff and offer limited upfront London Solar Grants. The mayor should also push the London Pension Fund Authority to invest in solar and set up schemes to support London landlords to invest in solar, according to the report. 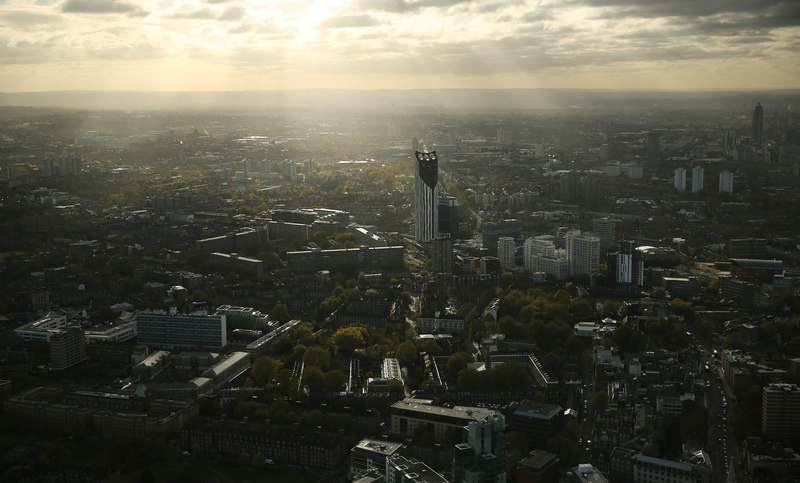 The analysis found this range of measures could help deliver a tenfold increase in solar power across London by 2025, enough to cover close to 200,000 London rooftops. The report suggests this can be achieved at a fraction (0.3%) of the overall estimated cost of boosting the capital’s energy infrastructure by the middle of the century. So the next London Mayor will have their work cut out for them in bringing London rooftop solar up to speed. Time for the mayoral candidates to throw down.